The Wolf Cub Slot by NetEnt has been released exclusively for Bettson casinos in Summer 2017, though Offersville understands that this game will be getting a wider release from September this year. 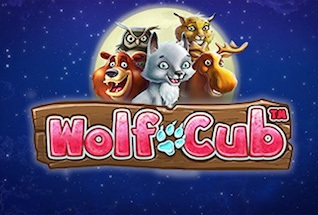 The game features some really cute wolf cubs, and it’s highlight feature is a Free Spins round that can deliver up to 115 Free Spins! There are 20 paylines and 5 reels and gorgeous cartoon graphics (what else do we expect from NetEnt?!). The Wolf Cub RTP is a cool 96.34%, and we estimate it to be a medium variance game, with some nice wins coming in the base game, as well as some decent windfalls if you can trigger the bonus round. Another stand out feature of NetEnt’s Wolf Cub game is the Blizzard, set off by stacking identical symbols on reel 1 – this leads to any matching symbols on other reels at the same time drifting over to the left, leaving matches in their wake, effectively filling the reels with matching symbols, leading to big wins. You can of course play Wolf Cub for free or play for real on any mobile device – Android or iOS, tablet or desktop. Currently our recommended UK casino at which to play this game is Betsafe Casino. More will become available in September. 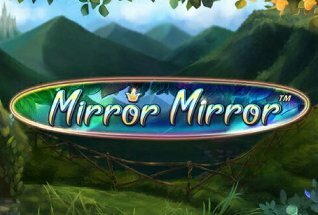 Play now, or read on for our full slot review. The scene for Wolf Cub is a snowy woodland, with a cute cub sitting to the left of the reels, wagging his tail and reacting to events as the reels spin. Snow is falling, and the symbols are: standard cards, hearts, diamonds, spades and clubs. And the higher value symbols, an owl, a snow leopard, a moose, and a crying wolf cub (the highest paying at 600 coins). Watch out as well for the wild symbol that substitutes for all except the scatter, which itself will activate free spins when three or more appear anywhere on the reels after one spin. The wild will also pay out 2,000 coins if you can match 5 across a payline. You can play this slot game from 20p up to £200 per spin. Bet levels go from 1 to 10 and your coin value can be set at 0.01 to 1.0. There is the standard Max Bet option for High Rollers, and the Autoplay function for hands free play. 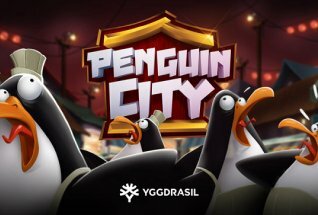 A jaunty cartoon soundtrack ticks along in the background – toggle sounds on or off as you prefer. So, onto the fun stuff, and here are details of the game features in Wolf Cub Slot. 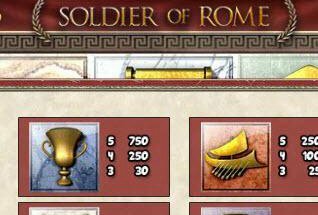 Free Spins: You must land three or more of the scatter symbols to trigger the Free Spins round. To find out how many spins you get, each reel with a scatter on it is spun and when they land, the symbols on these reels will feature a number. All these numbers added together makes your free spins total. A maximum of 115 can be taken here. Then, away you go! Blizzard Feature: This only comes into play in the Free Spins round. Here you must land identical symbols on the 1st reel (stacked). Any matching symbols on reels 2 to 5 will then drift right to left and leave a trail of in their wake. This is where your chances for big wins come in. This is a great fun game from NetEnt. It’s typical of this studio to deliver such great graphics and fun animations. 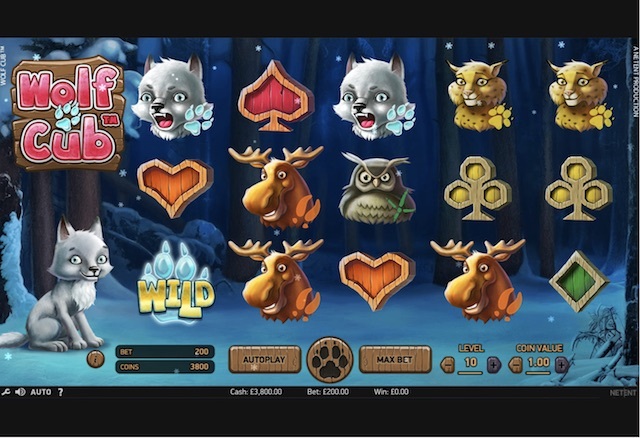 There are some nice regular wins to be had in the base game but the real fun doesn’t start until the bonus round where if you can land a high paying symbol on reel 1 and a few more across reels 2 to 5, you can set off a high value win to make Wolf Cub slot a real treasure trove.